coffee varieties viz. Coorg Arabica Coffee, Wayanad Robust Coffee, Chikmagalur Arabica Coffee, Araku Valley Arabica Coffee and Bababudangiri Arabica Coffee. 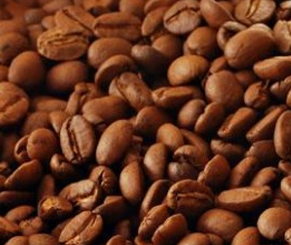 Coorg Arabica Coffee is grown specifically in Kodagu district in Karnataka. Kodagu district of Karnataka is famous for Coffee cultivation. The Arabica coffees from Coorg are lightly acidic with a mild flavour and strong aroma. The unique biotic and abiotic conditions provide uniqueness to the Coffee grown in the region of Kodagu. The broader landscape provides it with a unique aroma and flavour to the coffee when roasted. Wayanad Robusta Coffee is grown both as a pure crop and as mixed crop along with pepper in the Wayanad region of Kerala. Wayanad produces almost around 90% of Kerala's Coffee produce and forms the backbone of the coffee economy of Kerala. Chikmagalur Arabica Coffee is grown in Chikmagalur district, Karnataka. It is the region in India where the coffee cultivation first began. Bababudangiri Arabica Coffee is grown in the Bababudangiri region of Karnataka. Bababudangiri in Chikmanglur District of Karnataka is where the coffee was first grown in India. The coffee grown here is known for its unique flavour and aroma. Selectively hand-picked and processes by natural fermentation, the cup exhibits full body, acidity, mild flavour and striking aroma with a note of chocolate which makes it unique. Araku Valley Arabica Coffee has a pleasant acidity with a citrus note of grapefruit and a mild jaggery-like sweetness with light to medium strength. It is grown in the regions of Visakhapatnam district in Andhra Pradesh and Koraput district in Odisha. Q. Who has approved the Geographical Indication (GI) tag for coffee varieties viz. Coorg Arabica Coffee, Wayanad Robust Coffee, Chikmagalur Arabica Coffee, Araku Valley Arabica Coffee and Bababudangiri Arabica Coffee?